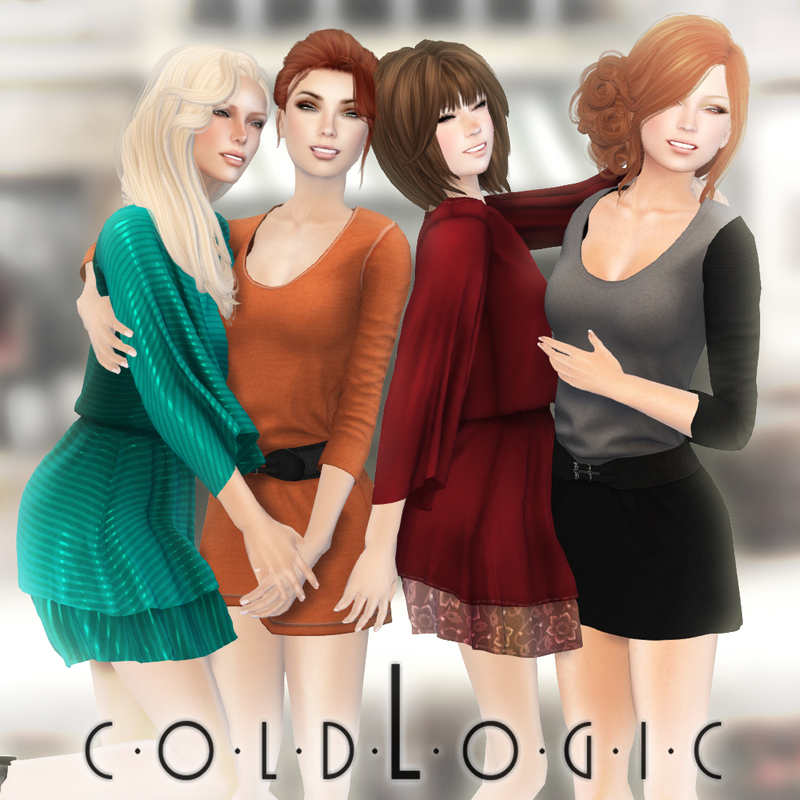 New Dresses and a New Store – coldLogic Reopens! Happy Halloween to all those who celebrate it, and here’s another reason to celebrate – coldLogic has opened up to the public once more with a brand new build to explore. Also new this week are these lovely dresses for the flirty and modest amongst you. All available in store and on the marketplace! Hello Everyone! coldLogic is currently undergoing re-construction. We have closed the sim down and will reopen later this week. We will notify you as soon as the doors reopen. ! Happy Wednesday! 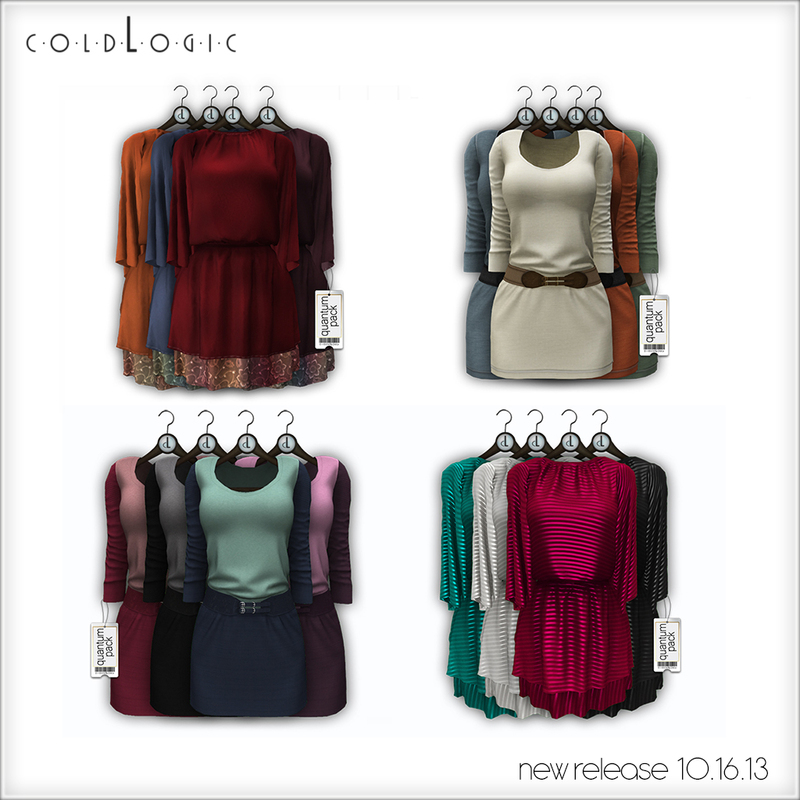 We are keeping the ball rolling at coldLogic and following our huge Fall Fashion line with some fun boho and casual dresses that work great for this season. All dresses as usual come materials enabled for extra depth, the Royer dress is especially eye popping with shiny threads that have to be seen to be believed! Check out the items below, all available in a few different styles and colours, in store and on the marketplace!